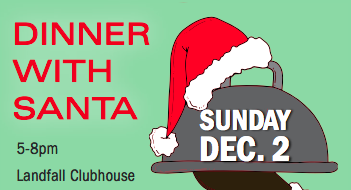 Dinner with Santa at the Landfall Clubhouse is a special annual holiday event. This dinner gives a chance for families to enjoy time with Santa and for children to make sure Santa hears their Christmas list. The Holiday All Vendor Wine Tasting is the perfect time to discover your new favorite wine! Taking place at the Tennis Pro shop there will be a party from 5-7pm featuring drinks, light hors d’oeuvres, great sales, and a tennis exhibition! The Holiday Cocktail Party is a fun way to celebrate the holidays and see all your neighbors and friends! Sign up soon for this popular children’s event! The kids will love decorating their gingerbread and bringing it home to use as decoration at home. This traditional festive event includes brass instrument musicians from the Salvation Army performing classic Christmas Carols for everyone to sing along too. Additionally, Santa and his elves will be there to welcome children of all ages! Looking for the perfect holiday present for your friends and family? Then, the Landfall Foundation’s 8th annual Holiday Marketplace is where you need to be! Taking place on December 4th from 4pm-8pm at the Landfall Clubhouse the Marketplace has gifts for everyone. Tickets are $20 each and the event is open to the public. Proceeds from the Holiday Marketplace will go to the Landfall Foundation, which gives grants to numerous charities in the Wilmington area. This is a fun event to shop, socialize, and support a non-profit organization. The 35th Annual North Carolina Holiday Flotilla is taking place this weekend! One of Wrightsville Beach’s proudest events, the flotilla has become a tradition for many in the area. The parade of boats decorated in Christmas lights is the perfect transition from Thanksgiving to Christmas. Events start on Saturday with the Festival In The Park and Antique Car Show from 10am-4pm at the Wrightsville Beach Park. There is something for everyone at the festival! For the kids there is a large play area complete with inflatable slides and bounce houses and the Choo Choo, which takes children all over the park. Additionally, there will be festival food, a classic car show, and an array of arts and crafts booths featuring goods from local merchants and artisans. This is perfect place to find unique Christmas gifts for your friends and family! The much anticipated boat parade starts at 6pm. The parade route travels around portion of Wrightsville Beach, with ideal locations to watch the parade at the Banks Channel Bridge, one of the South Harbor Island mini-parks, or the West Side of Waynick Boulevard. Judges will be located at the Blockade Runner, but anyone can text in their vote for their favorite boat. Following the flotilla there will be a spectacular fireworks display. For more information on the North Carolina Holiday Flotilla visit their website http://ncholidayflotilla.org. This Thanksgiving join us as the Country Club of Landfall. There will be a spectacular buffet from 11am until 2pm. The buffet offers a large variety options, starting with tomato basil soup and butternut squash bisque. Salads offered at the buffet include a spinach salad, roasted beet salad, wheat berry arugula, and a smoke salmon display. Additionally, there will be a fantastic shellfish bar featuring oysters, shrimps, crab claws, and seared Atlantic salmon. The main dish of the buffet, the turkey, will be served with homemade gravy, vanilla scented cranberry sauce, and garlic mashed potatoes. An herb roasted prime rib with au jus and creamy horseradish sauce is an enjoyable option as well. Finally, the dessert portion of the buffet offers numerous delectable desserts, including pumpkin pie, apple-cranberry cobbler, carrot cake, holiday cookies, and many more! Come spend this holiday with friends and neighbors while enjoying a delicious Thanksgiving feast! 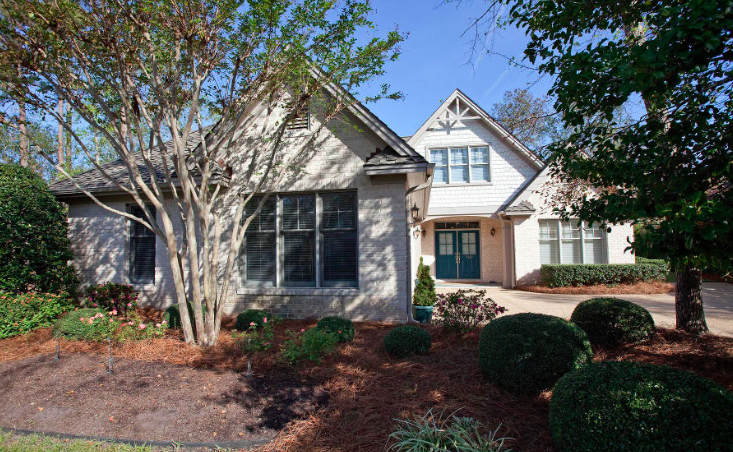 This gorgeous home was just purchased by a happy client represented by the Landfall Realty team. Working exclusively in Landfall, our team has the expertise and knowledge to help you find you the perfect home. Our realtors work hard to find you the best deal! At the Country Club of Landfall there are always fun events taking place! These events are a great time to meet neighbors, try new things, and keep the kids entertained. Happening this Tuesday night is an adult Wine and Design party. A ticket includes two glasses of wine, hors d’ouvres, and supplies. Enjoy some wine and paint a masterpiece to take home! Wednesday enjoy Ukulele music with the Great Oaks Club. The Great Oaks Club is hosting Kent Knorr, the founder of the North Carolina Ukulele Academy, who will be sharing his story of the ukulele and entertaining the group with his songs. This event will be taking place at the Country Club of Landfall at 1:00pm. Friday night is Family Bingo Night! Enjoy this event as a family or just drop off the kids. There will be pizza, prizes, and lots of bingo fun! Then, on Saturday night it’s Double Digits Game Night. Taking place in the Kid’s Clubhouse from 6:30pm-9pm there will lots of exciting games! 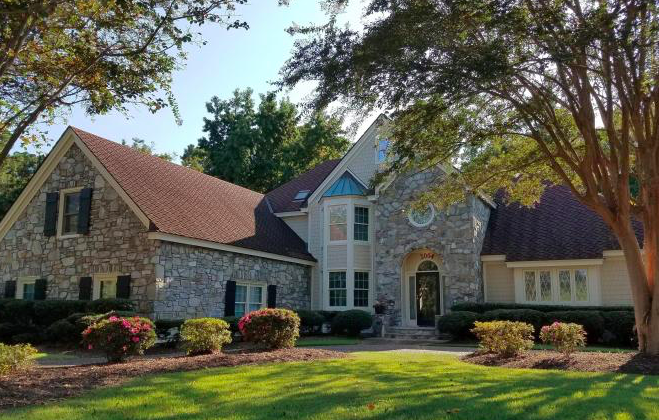 Our realtors just helped their client purchase this gorgeous home! Working exclusively in Landfall, our team has the expertise and knowledge to help you find you the perfect home. The Landfall Realty team works hard to find you the best deal! 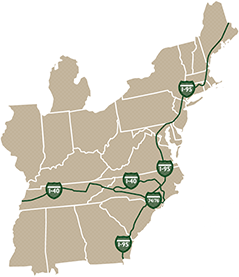 A Food Truck Rodeo is taking place tonight at Landfall! Consisting of numerous food trucks and a concert the Food Truck Rodeo is sure to be a fun event. From 5-8pm the food trucks will be in the Country Club of Landfall parking lot, which is perfect for enjoying the gorgeous fall weather. There will be a large assortment of food thanks to the numerous food trucks that are taking part in the rodeo. Food trucks that are coming tonight include Wilmywoodie Pizza, Joe Loves Lobster, T’Geaux Boys, Bubba & Finns Dole Treats, A&Ms Red Food Truck, 2 Bros Coastal Cuisines, and more! Additionally, there will be a concert featuring Bibis Ellison. The concert will take place from 7-10pm at the Landfall Clubhouse tent. The Saybrook neighborhood n Landfall takes its name from a classic New England village. This lovely brick home has a beautiful setting of lush landscaping, and quaint tree-lined streets. 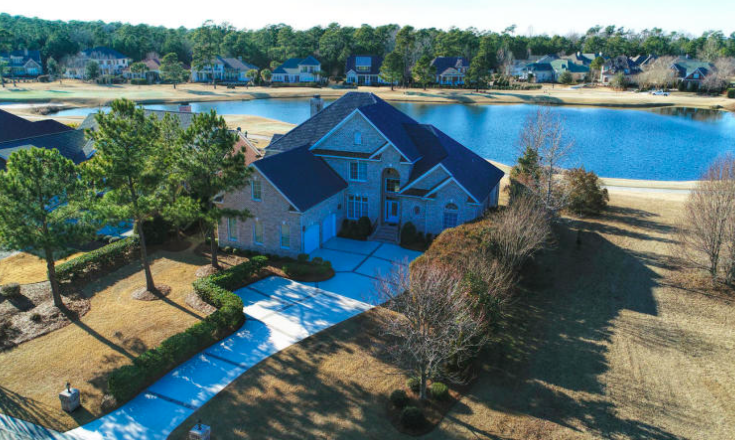 Located in a ideal location, this home is right inside the north gate of Landfall, just a stone throw from the newly renovated clubhouse and two prestigious golf courses. 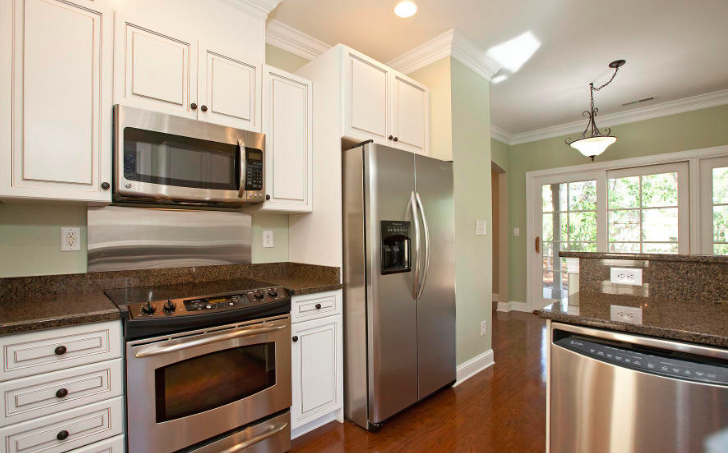 This home boasts an open floor plan with superior livability, large rooms, and high quality finishes. There are three spacious bedrooms, 2.5 bath, and a versatile bonus room, which can be used as an addition bedroom, playroom, or office. The inviting front entrance welcomes you into the bright open house. This elegant patio home provides low maintenance living for today’s busy lifestyle.